Imagine yourself driving along remote, winding mountain roads through pristine landscapes and captivating cultural areas that are less trodden upon and whisper with history. Picture yourself in a beautiful monastery witnessing a monks’ prayer session that has been arranged privately just for our travel group, or visiting the winter home of semi nomadic Tibetans where you can work with them to create your own memorable portraits. Visualize yourself relaxing by the fire in the lounge of a cozy mountain lodge in a distant, secluded valley. These are some of the unforgettable experiences of our unique photography journeys. Ron has partnered with On The Road Experiences driving journeys to create a unique and inspirational experience combining travel by sport utility vehicle and photography in the beautiful and more wild western regions of the most fascinating country on earth, China. Our small groups ensure that you have plenty of individual attention, with 8 persons being the typical group size. Without the restrictions of large groups, we have the ability to travel to places that would normally be impractical to reach. Our itineraries are carefully designed so that you are able to get to extraordinary locations, but you will not need to sacrifice all your comforts to do so. These tours are suitable for the beginning as well as the more experienced photographer. On selected evenings, Ron will conduct presentations on a variety of photography topics, discussing not only technical and compositional aspects, but also the thinking process towards producing a meaningful photograph – all beautifully illustrated with projected photographs. You will learn to manage a variety of natural light situations, and there will be plenty of opportunities to practice your newly acquired skills out in the field with Ron at your side to provide guidance as you shoot, and feedback on your images. Feel free to discuss photography at any time – over meals or even as you travel through the countryside. For those interested in driving themselves, we will arrange your Chinese driving license through On The Road Experiences so that you have access to the highest quality sport utility vehicles. All vehicles are equipped with 2 way radio and GPS devices. For further information on the cars and driving in China, please refer to the On The Road Experiences website. If you are adverse to mass tourist experiences and are looking for something rare and more inspirational, or if you’ve ever returned home from a vacation to be disappointed that your photographs did not do justice to the amazing places you had been to, then these are the trips for you. You’ll witness an amazing side of China, and your new photographic skills will enable you to capture images as vibrant and special as your memories, wherever you travel. Please Contact On The Road Experiences if you would like to join us on one of our upcoming excursions or arrange your own private group and we’ll find a time to accommodate you. 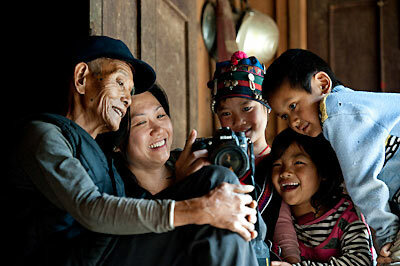 It’s a life experience, a photography journey to the hidden areas of China that wait for you to discover them. 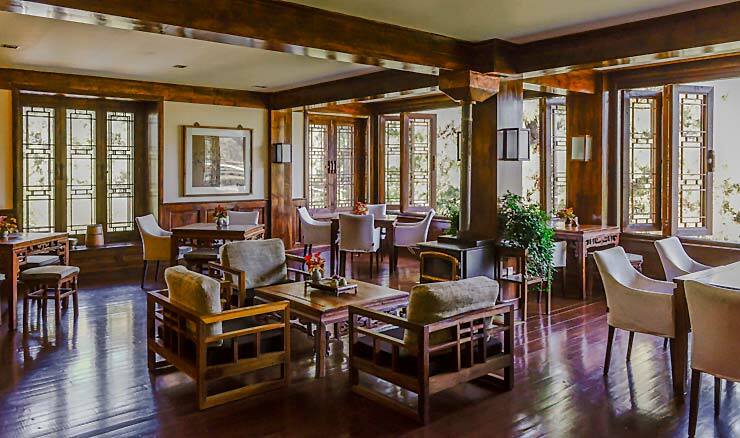 The dining room of the Songtsam lodge at Tacheng on our Yunnan Tea Horse Trails tour. A customer working with villagers of the Hani minority ethnic group. 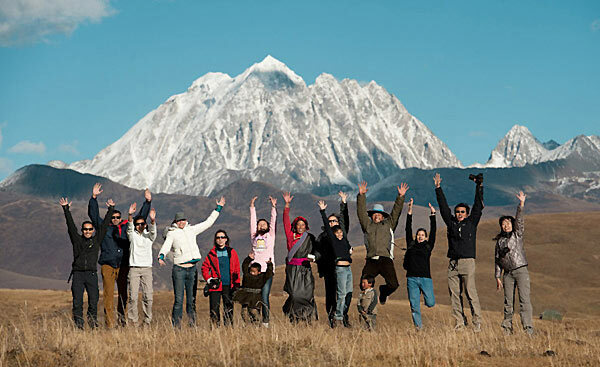 Our photography group enjoying an afternoon out with our Tibetan friends.